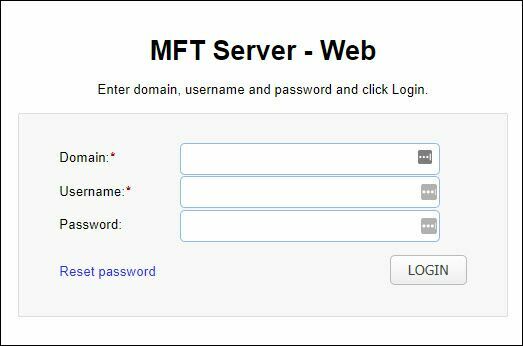 It's possible to customize the content (text, images, or both) of the JSCAPE MFT Server Web Client (screenshots of the client shown below). Unfortunately, there are times when the changes don't seem to take effect. For example, you might have changed the Application.TITLE or Logo, but don't see the changes when you inspect the Web Client. One possible reason could be that you may have simply failed to specify the Language on which the changes should apply. The language needs to be specified because the Web browser your using to display the Web client might be using a specific language. If you look at the previous screenshot, you'll see that the Language drop-down list box is set to "default". Try changing the Language setting to English or whatever language you're using on your browser BEFORE changing any of the settings. Don't forget to click Apply after changing the settings.